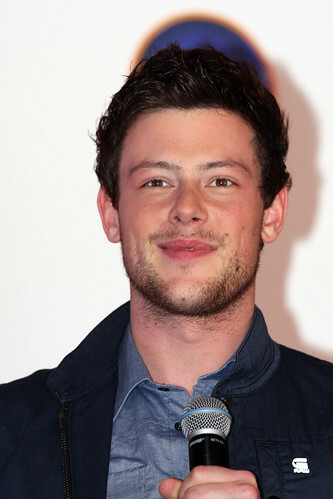 Cory Monteith, a photo by Eva Rinaldi Celebrity and Live Music Photographer on Flickr. Today over 500 Australian Glee fans met Canadian actor and musician Cory Monteith at Westfield Sydney - city store. Cory was there to promote Glee The Concert on Blu-ray and DVD, which fans snapped up from the JB Hi-Fi pop-up store. It was wonderful to see Cory speak and get up close with the fans, as its the fans who ultimately tune in and buy merchandise which keeps actors in a gig. Cory told the crowd that he was looking forward to holding a koala, which has long been a favourite wish of overseas actors while visiting our shores. Something tells us a few of the young women in the audience might have imagined Cory was a koala, and wanted to cuddle up to him. Show business bottom line - a lot of Glee DVD's were sold today, so it looks like long trip out here has paid for itself, and then some. Glee can be seen on pay TV channel Foxtel many times per week, and of course now there's even more opportunities to own some of the Glee franchise on DVD. A new series of Glee will be hitting Foxtel in 2012. Cory Allan Monteith (born May 11, 1982) is a Canadian actor and musician, best known for his role of Finn Hudson on the Fox television series Glee.